On the ground floor, a set of nine oil paintings depicts the demise of Captain Thunderbolt. 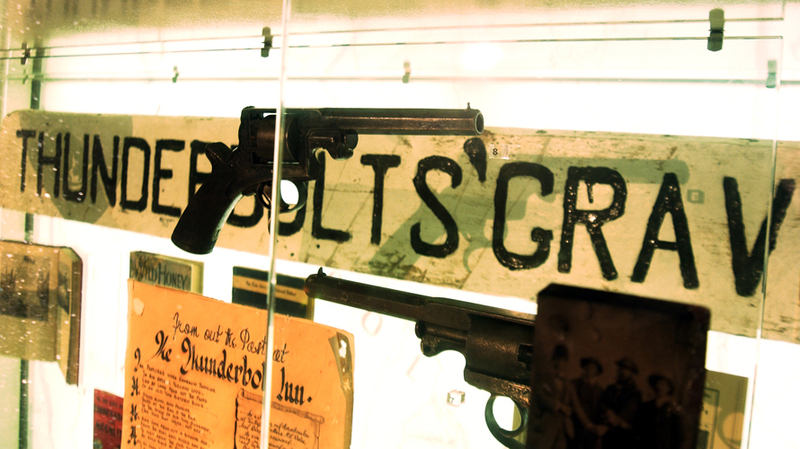 On the second floor are the authentic Thunderbolt artefacts. The building: granite, brickwork, whitewash. Robust. No adornments. You can sense it the minute you walk through the doors of McCrossin’s Mill. You can feel something here. Like somebody beckoning, whispering. 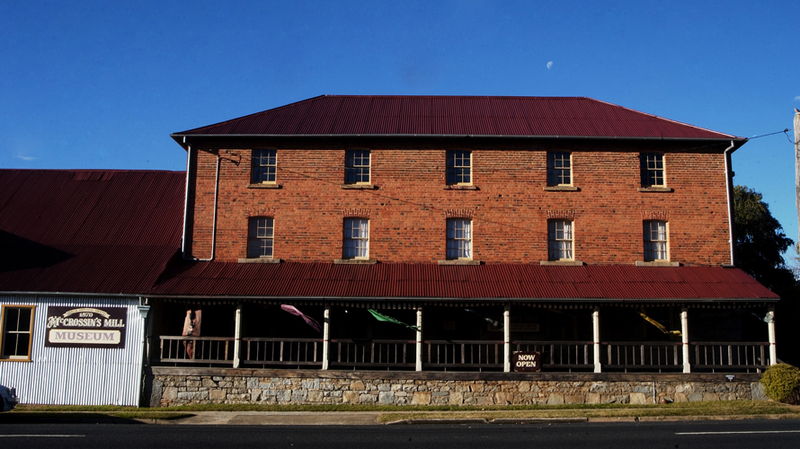 Uralla, the beginning and the end of bushranger, Captain Thunderbolt, shot dead in 1870. On the ground floor, a set of nine oil paintings depicts his demise. On the second floor are the authentic Thunderbolt artefacts. In between? Well, there’s a surprise around every corner. A Chinese gold rush collection of national significance. Spooky feeling there! ‘A Red Rose’ where you will cop a punch-line that will floor you. Strong stories of an empathic nature. But you are connecting. 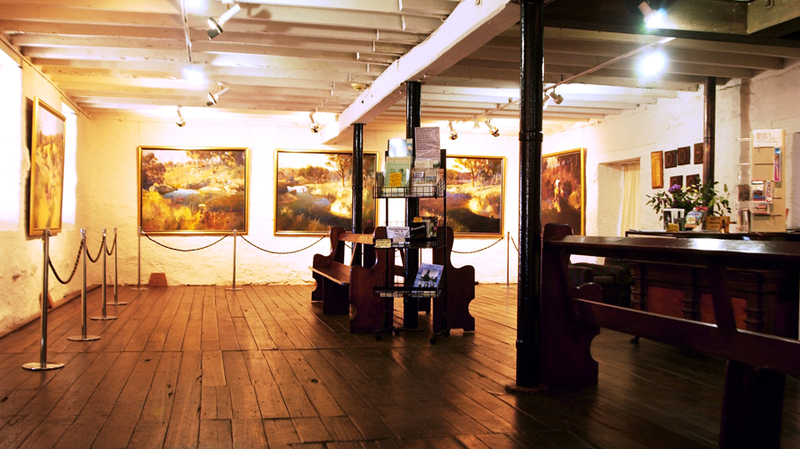 Venture into the 1881 Chaff Shed. This was an old wreck. Different atmosphere. Farm gear and Fire Engines. Upstairs, mood changes. Bizarre! You connect with the sly humour. You discover that it’s OK to laugh out loud in a museum. You go out into the magical gardens to think things over. “Personality” you decide. “That’s what’s different about this museum”. The breeze in the birch trees agrees with you, softly. And so do the magpies. . .
Uralla, on the New England Highway, halfway between Sydney and Brisbane. A town that will charm you, and a museum that will fascinate you. The sale of merchandise enables visitors to the Museum to discover a unique treasure that would make a great gift.